Xmas '17 - the tree, ofcourse. 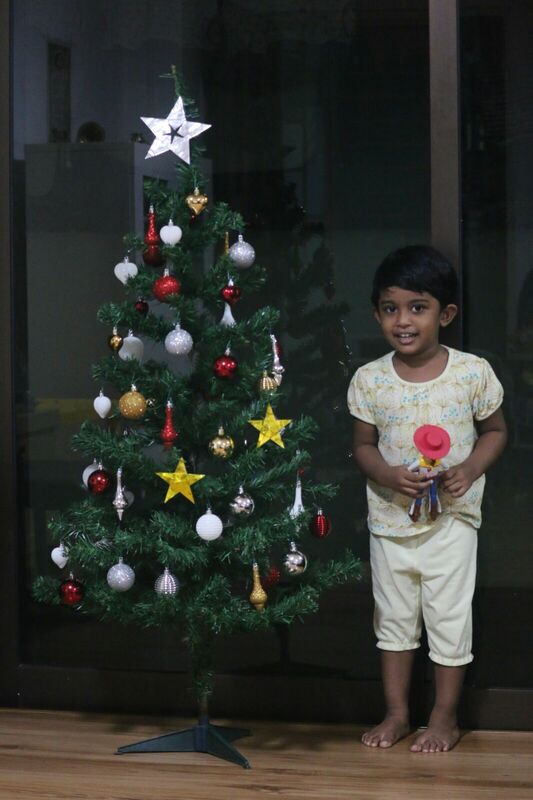 Brought the ornaments from IKEA and set up the Xmas tree, much to the delight of little Anouk. Arun made good use of his Origami skills to make the silver top star as well as two small golden stars. All in all a happy kid and relaxed parents and still-standing-in-one-piece-Xmas tree.